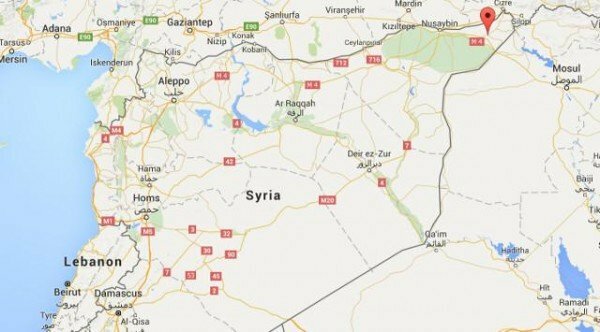 Week Sixteen of the Russian Intervention in Syria: Is A US Invasion of Syria Next? 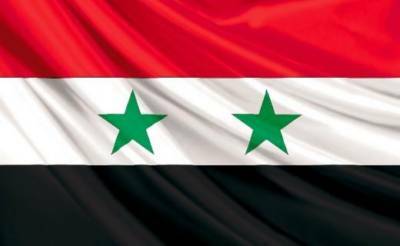 This week was marked by major successes for the Syria military the Sheikh Miskeen region of the Daraa Province in the south of the country. In the meantime in the north, the Syrian Army continues its offensive north of the strategic Kuweires air base. As for Secretary of Defense Ashton Carter, he declared that the 101st Airborne Division would soon be deployed to Iraq to fight Daesh in Mosul and in Syria to fight Daesh in Raqqa (so much for Obama’s sixteen promises not to have US ‘boots’ on the ground!). Predictably, such rumors resulted in some pretty wild headlines such as this one: “America and Turkey begin Ground Invasion of Syria. How Will Russia Respond?” This is a major exaggeration, to put it very mildly. Instead, lets’ look at what might really be brewing. First, it is rather unlikely that the entire 101st will be deployed in the region. At most we are talking about a few battalions, maybe a ‘combat team’, but hardly enough to constitute an invasion force. Besides, the 101st is a light infantry division which simply is not suited for a land invasion role. In a conventional war, the 101st would support regular ground forces, but not replace them. In a counter-insurgency war, the 101st could do many things, including security, anti-terrorist operations, training of local forces, intelligence gathering, etc. But to imagine that the 101st will drive down from northern Syria to Damascus to overthrow Assad is simply not realistic. As for the airfield the USA supposedly took over in northern Iraq, take a look at a map to see for yourself where it is located: far away in the northeastern corner of the country, close to the Turkish and Iraqi borders, but very, very far from the city of Damascus or from the Russian radars in the Mediterranean or Latakia. The Americans have announced that they are planning a two pronged offensive, one towards Mosul and another towards Raqqa. Considering that the US already has airbases in Turkey and Iraq, the only thing which this rather primitive airstrip (used for “agricultural purposes” in the past, i.e. crop dusting) would give them is a convenient place to bring specialized personnel in and out of the region, but hardly the hub for a major invasion force. Besides, it is still unclear whether the elements from the 101st will be deployed only in Iraq or also in Syria. At least one US magazineseems to think that rather than a combat force, the Rmeilan air base in Syria will be used by various type of US special forces including combat controllers, pararescue jumpers, special operations weathermen and other JSOC personnel. If so, then we are talking about a small and specialized force, not a ground invasion of any kind. I think that regardless of the public statements made by Biden and Carter, it is too early to determine what Uncle Sam plans to do in Syria next. The airfield in Rmeilan is most likely just seen by the US as a good place to establish a presence and keep options open. I don’t believe for one second that the US has any intention of invading Syria, but if it did, we would see a much bigger logistical effort and the concentration of several large formations coming from different directions (Turkey and Jordan, possibly Iraq). In that case, Rmeilan could be used for US helicopters but not for fixed wing-aircraft, at least not without a major upgrade of the runway(s) and infrastructure. What about the bigger question of whether the US has a “military solution” for Syria – is that really a possibility? I don’t think so for a very simple reason: the only force out there which can fight Daesh on the ground is the Syrian military. Even the Iranians and Hezbollah do not, at least right now, have the force levels needed to take on Daesh by themselves. In purely military terms, Turkey or Iran could, I suppose, launch a full scale invasion, but the political costs would be prohibitive. Plus the Turks probably don’t have the stomach for such a bloody war with no clear exit strategy. At most, the Turks want to seize a strip of land in northern Syria and keep the Kurds down. Unlike the Turks, the Iranians could at least be legally invited by the Syrians, but that would hardly assuage the USA, the KSA or the Turks which would be absolutely enraged by such an Iranian move. Having just won a major diplomatic victory over the USA and Israel, Iran probably has no desire at all to create yet another major crisis. Finally, as I said it a gazillion times ‘the Russians are *not* coming’. So that means that the only force capable of taking on Daesh is the Syrian military and I don’t see the US being able to provide anywhere near the kind of force levels to become a credible actor in this war. The Syrians on the ground, the Russians in the skies, and some special assistance from Iran and Hezbollah – this is the only alliance which can take on Daesh and slowly squeeze them out of most of Syria. The Americans seem to want to use the Kurds in a role similar to the one played by the Syrian military, ‘boot on the ground’, but that completely ignores the fact that the Kurds are not a single force, that they do not have a regular army, that they are not Arabs and that Turkey, a key ally in any US operation, will never allow the Kurds to play a major regional role. It is possible that the Kurds, the Americans and the Iraqis could together retake Mosul, especially against a weakened Daesh. As for them taking Raqqa, I don’t see that happening, but maybe I am wrong here and Daesh is even weaker than I think it is. But that’s it. If that is what Biden calls a “military solution” then it is very much a misnomer. At most, I would personally call it an “American side show”.